Seller Accountability Reports: Make Sellers Love You! Let's face it one of the biggest challenges with winning listings and keeping Seller's satisfied with our work is communication. How do you tell them all that you have done in a way that is both modern but gives them the information they desire to know that you are doing the job of "Marketing Expert" that they have hired you for? Our "Seller Accountability Reports" are made just for this purpose. We autopopulate all of your automated marketing in the system in a simple online report that you can email your Sellers. 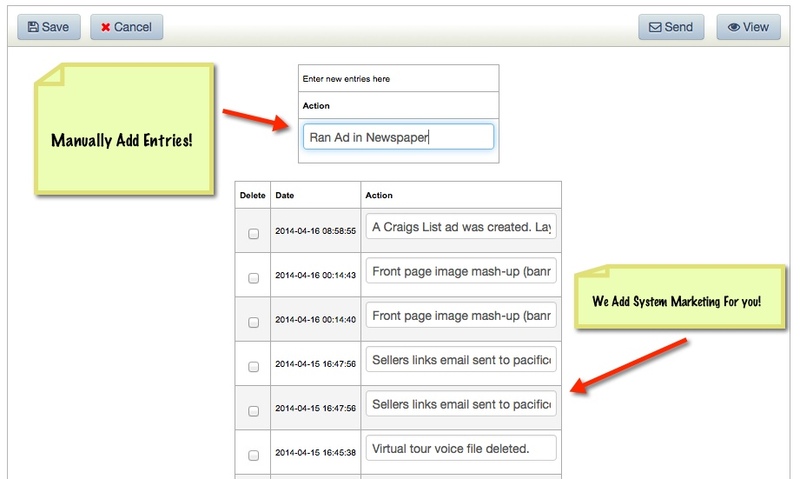 There are three main ways to use the reports from Listing Presentation to Sale. Show your Sellers an example of their homes marketing using our Flip Show books and our "done for you program". While at the appointment say that you understand that many Agents say what they will do, but that you will "show" what you are going to do with our "Seller Reports". They'll love that they will have a report with a detailed list of what marketing you've performed as well as the date you performed it, showing them that you are Marketing their home to its highest. Once you take a listing you want to "launch" the property specific marketing program and our reports will help prove that all the hard work you have put into their listing like: Single Property Website, Virtual Tours, YouTube Videos, Social Media Postings, Syndication and more. Simply email them a link to your "Seller Accountability" report the moment you have the listing live and marketed to the world. One of the biggest things we encounter when selling a house is the Sellers calling asking, "how is it going"? 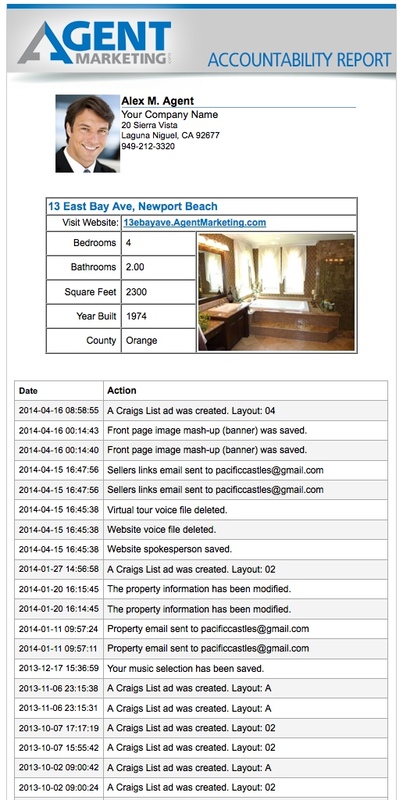 Not only does our report update itself daily when you do new things in our system for your listings like "just listed" postcards, doorhangers, sign riders, water bottle lables and more, but you can manually add things that you are doing outside of the system like running ads in the local newspaper. Never again will your sellers feel left in the dark about what you are up to. You can prove to them that their home is special, NOT just another listing in a sea of properties. The Spring Team (SL3206513) with Charles Rutenberg Realty, Inc.